Charlie Munger, Warren Buffett’s partner at Berkshire Hathaway and an investment legend in his own right, is normally reticent. He prefers to give monosyllabic replies to questions about companies and stocks. You will also never catch Charlie Munger giving a recommendation to either buy or not buy a stock. However, there is something about Valeant Pharma, Bill Ackman’s favourite stock, which gets on Charlie’s nerves and makes him lose his cool. 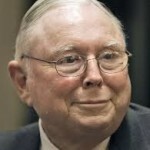 On an earlier occasion, Charlie Munger had attacked Valeant Pharma by alleging that it was indulging in “price gouging” by raising the prices of life-saving drugs to exorbitant levels. He called it “deeply immoral” and said that he is “holding his nose”. This time, Charlie teamed up with Warren Buffett to call Valeant Pharma a “sewer”. In fact, his contempt for Valeant is so great that he said that even “sewer is too light a word for Valeant”. He added that he was apologizing to the Sewer Board for the “insult” of equating them with Valeant Pharma. 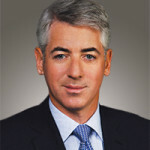 The concerted attack by Warren and Charlie on Valeant Pharma is a sore point for Bill Ackman because his hedge fund, Pershing Capital, is one of the largest shareholders of the beleaguered drug maker. We have seen a few weeks ago that Pershing Square has lost nearly $2 Billion (Rs. 13,000 crore) of its investment in Valeant Pharma after allegations surfaced that Valeant is a fraud like Enron. 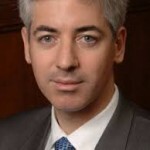 The debacle also caused Pershing Square to report disappointing results and led Bill Ackman to suffer the embarrassment of being said to be worse than an “Average Joe” investor by influential commentators. What would have particularly irked Bill Ackman is the fact that he had once called Valeant Pharma “the next Berkshire Hathaway” and that he himself is popularly referred to as “Baby Buffett“. Bill Ackman has responded by attacking the investment worthiness of Coca-Cola, a stock held dear by Buffett and Munger. We have seen on a number of occasions in the past that whenever the two investment legends want to illustrate the merits of a “great business” that one can buy and hold forever, they use Coca-Cola as a prop. This is exemplified by one of Warren Buffett’s most inspiring talks where he explains how a paltry investment of $40 in Coca-Cola turned into a massive fortune of $5 Million. “If you get the business right, you don’t have to worry about anything else” Warren said. “Coca-Cola causes obesity and diabetes and kids are drinking it as a replacement for water” Ackman thundered. He also pointed out that in some places like Nicaragua, Coca-Cola is cheaper than water. “The product is addictive and its consumption will trigger major global health crises” he warned in a grim tone. It is implicit in Bill Ackman’s attack that he would like to see Coca-Cola banned or at least see its operations severely curtailed. Incidentally, this is not the first time that Billionaire investors have brawled over their stock picks. 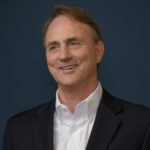 An earlier example is that of Carl Icahn and Bill Ackman where the duo publicly duelled over whether Herbalife is an illegal ponzi scheme or not! Carl Icahn called Bill Ackman a “cry-baby”, “liar”, “major loser” and “sanctimonious”. Ackman reciprocated by called Icahn a “bully” and that he was “troubled with the truth” and levelled other choice insults on the octogenarian Billionaire! 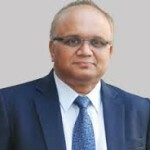 Will Basant Maheshwari’s PMS Propel Him To Be The Next Carl Icahn, Bill Ackman, Nehal Chopra Etc? People talk philosophy in the morning and do business in the night and get a good name, just blame brainless blind followers who follow master manipulators!! BTW our own super man Porinju delivered just 11% last financial year(2015-16), which is nothing but a simple FD after tax! A great mismatch btw what he portrayed and delivered.